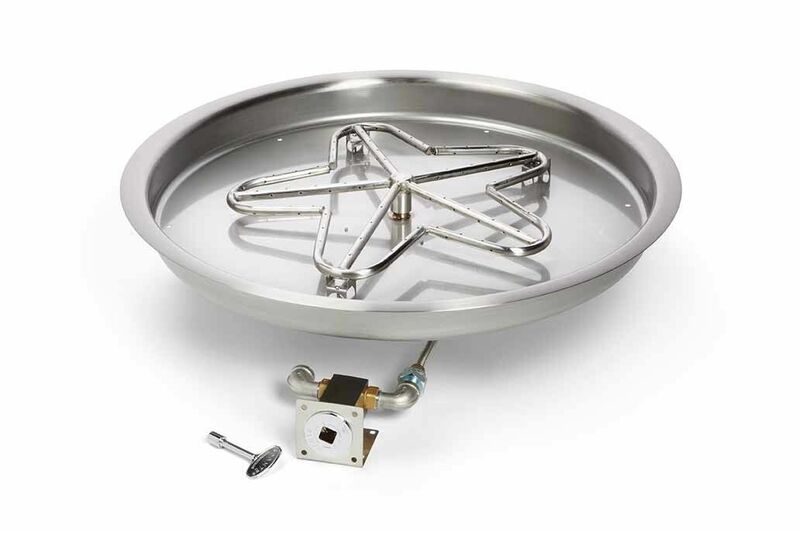 - High quality 18in Stainless Steel Penta Burner or 18in gas ring (double ring). - 31in ID Spun Stainless Steel Bowl Burner pan 2 3/8in Deep with a 1 3/8in lip provides the base for your pit kit. Add 2 1/2in for OD.